Large round tables that are incredibly easy to set up, and look beautiful when combined with our linen range. These 1830mm circular banquet table are sturdy and often used for many events beyond formal dining - like meetings, award ceremonies and weddings. Tables - used for thousands of years! Tables are one of those items that have never lost their appeal - even after thousands and thousands of years! Of course, they’ve changed a lot since they were first used, and now you can place a table hire order with us to get the perfect products for your London event. So where did it all start? Well it’s unlikely that early populations were pulling out trestle tables and installing them for a get together, but it didn’t take long for tables to diversify. As you might expect some of the first tables were very basic. People in the distant past had fewer tools and materials to work with, so they simply honed items from the environment around them. The exact time in which tables were first used is unknown, simply because it was so long ago, but historians look to paintings and other evidence to see how they looked and all the different designs produced. It’s believed that Ancient Egyptians used stones to make platforms that have a similar use to our 1830mm circular banqueting tables - to keep food clean and uncontaminated! At other times and in differing parts of the world, the Romans and Greeks designed tables made from marble and metals, while an early Chinese chair suggests roots formed a base for some kinds of seating. As you can see, these types of furniture show the creativity at the time - and this never stopped. Our banquet tables have been picked so you get a product that is just as innovative and practical for all your 21st Century London occasions. Today’s banqueting tables, might owe their existence to the Middle Ages, as this is when they first started being used. The following years saw different sizes and shapes of trestle tables being invented for lots of functions. It seems having a range to choose from was just as important then as it is now. Our 1830mm circular banqueting table is the largest in a range that we stock, with 1220mm and 1525mm also being available if you prefer, in addition to rectangular banqueting tables too. When you opt for our 1830mm model, you’re choosing a table that seats up to ten banqueting chairs - fantastic for those larger events. The unfinished surface is steady, robust and the trestle legs mean that the table is very straightforward and quick to set up. Deluxe linens for a premium look? Quite often when our customers choose this product line they may be organising an event that features a formal dinner, such corporate parties, weddings, award ceremonies and AGMs, in which case black or white deluxe linen is a brilliant accessory and might include tablecloths, chair covers and napkins. As these tables are so versatile, they also get used for many different occasions, such as exhibitions, meetings and networking occasions too - a table for every event! How many people can fit around this table? Around ten banquet chairs can fit comfortably around this table. We have two smaller tables, our 1525mm and 1220mm, which seat eight and six respectively. 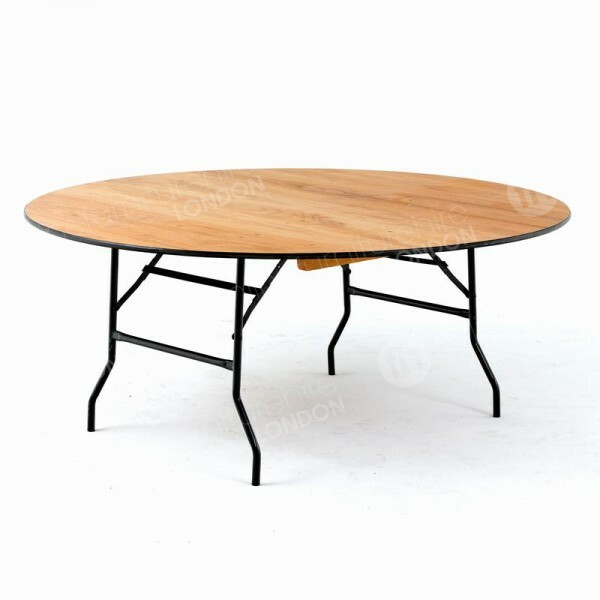 Do I have to hire banquet chairs with these tables? Not at all. You can hire any chair you like from our range. 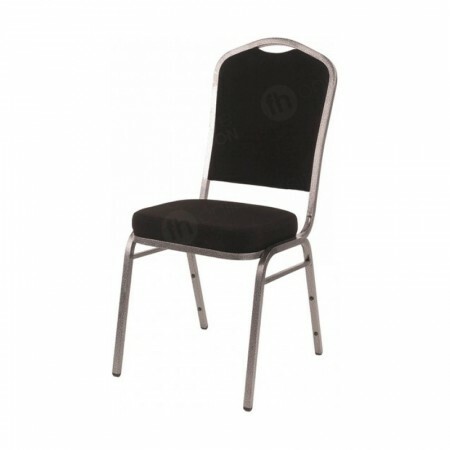 For an informal look, our white folding chairs are fantastic, while our polyprop chairs are very economically priced.